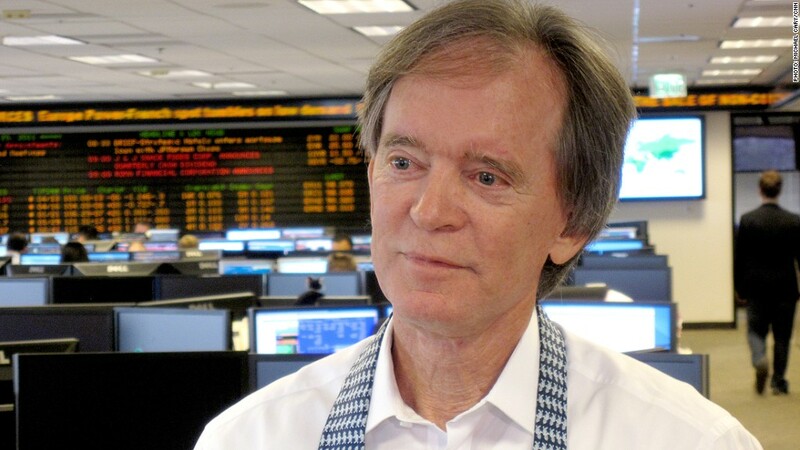 Pimco founder Bill Gross has seen investors pull billions from his investment firm. Is Pimco losing its magic touch? Net outflows from the investment firm's funds totaled nearly €22 billion ($30 billion) in first three months of the year, according to parent company Allianz (ALIZF). That came after investors pulled nearly €65 billion during the second half of 2013. The flight began in the middle of last year, when the U.S. Federal Reserve started talking about plans to scale back its bond-buying program. That led to rising interest rates and falling Treasury prices. Concerns about the future leadership of the firm may have fueled the withdrawals this year, following January's news that Pimco CEO Mohamed El-Erian was leaving the company after six years. Reports of clashes between El-Erian and Pimco founder Bill Gross surfaced after the resignation announcement. Gross urged investors to stick with Pimco. "Believe me when I say, we are a better team at this moment than we were before," he wrote soon after El-Erian resigned. But others have raised red flags about Pimco's prospects. Fund rating company Morningstar (MORN) said Pimco's corporate culture had suffered since the resignation announcement. The departure of El-Erian -- who continues to work for Allianz as a senior adviser -- raises questions about who will take over once Gross steps down. The latest Pimco outflows weighed on first quarter earnings at Allianz. Pimco currently has about €1.1 trillion ($1.5 trillion) in assets under management. This makes up the majority of Allianz's asset management business.